Lien Sale! What Is A Lien Sale? 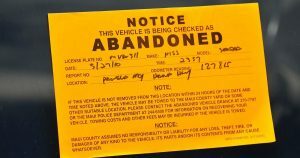 If a person has repaired, furnished supplies or materials, towed or stored a vehicle AND has not been paid for the services rendered, that person has a lien against the vehicle. The lien arises at the time the registered owner is presented with a written statement of charges for completed work or services. 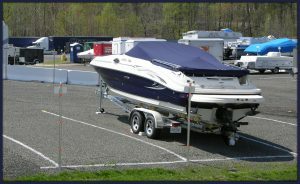 If the vehicle is towed by a public agency or private towing company, the lien arises when the vehicle is towed or transported. 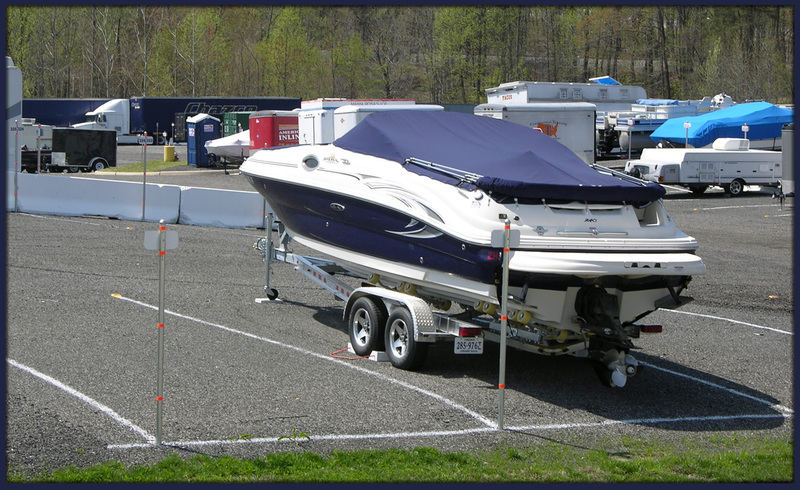 The lien may be satisfied by selling the vehicle through the lien sale process. 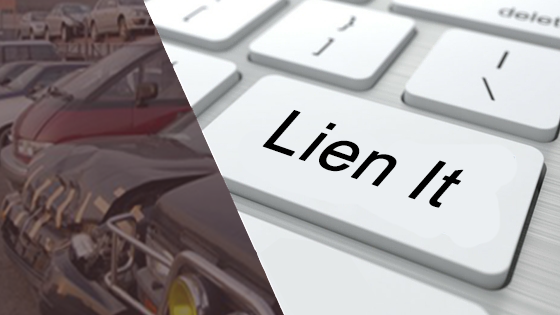 To conduct a lien sale, the person/lienholder must have possession of the vehicle and have lien sale authorization from DMV. Interested parties, including the registered and legal owners of record will be notified before the sale occurs. California Code, Harbors and Navigation Code – HNC § 503 …. Allows a lienholder to apply to the California Department of Motor Vehicles for the issuance of an authorization to conduct a lien sale pursuant to the provisions of this section for any vessel with a value determined to be over one thousand five hundred dollars ($1,500). This CA DMV Vessel Lien Sale process, allows Lienholders to legally notify all Owners of Record of sale and set an auto auction sale date if vehicle isn’t claimed. For Professional legal Lien Sale Processing, contact..
California Civil Code Section 3068(a) ,California Department of Motor Vehicles provides that a person who incurs costs for repair, labor, furnished supplies and materials or storage of a vehicle is entitled to a lien on the vehicle to compensate him/her for the costs incurred. The lien arises at the time a written statement of charges for completed work or services is presented to the registered owner, or 15 days after the work or services are completed, whichever occurs first. This CA DMV Auto Lien Sale process, allows Lienholders to legally notify all Owners of Record of sale and set an auto auction sale date if vehicle isn’t claimed. Section 3068 permits the Lienholder to satisfy a lien by selling the vehicle through this auto lien sale process. California DMV disengagement report reveals Self-Driving improvements…. Since the advent of cars, the automotive industry has always embraced technological advances, but the pace of change has accelerated so rapidly that auto original equipment manufacturers (OEMs) worldwide are struggling to keep up. It is not just connected cars, or even autonomous cars that manufacturers are racing to [safely] bring to market; it is not just 5G connectivity shifting narratives around smart city interactions or in-car experiences; it is not just car-sharing and new business models with which they are experimenting; and it is not just artificial intelligence (AI) or computer vision for which they are recruiting talent. 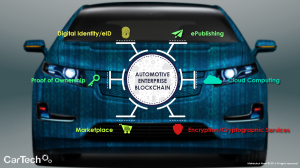 Automotive manufacturers are now facing another potentially transformational technology: blockchain. Tractica defines blockchain as a series of technologies that enable distributed database architecture, wherein the record and verification of a transaction or event relies on multiple parties agreeing on the validity of that transaction, rather than relying on a single centralized authority. Although blockchain has been subject to more hype than actual in-production, at-scale applications, the technology has undergone rapid developmental steps in the last 3 years. Blockchain technologies offer auto manufacturers, as well as numerous other constituencies across the automotive ecosystem, a range of potential benefits. In fact, blockchain may serve as a key enabler for autonomous cars because it has the potential to facilitate commerce between cars and other devices in scalable architectures and ensure repeatable outcomes/expectations. This is required to: 1) establish value and 2) define trust between stakeholders and machines, both of which are limited in the Internet of Things (IoT) as it exists today. Tractica’s research identifies 30 distinct use case categories, across virtually every industry. Below are a few of the use cases Tractica has identified for companies in the automotive sector to extract value from ledgers distributed and shared among one another. A future of autonomous cars, not to mention “millions or billions” of devices communicating with each other efficiently requires that their interactions and transactions exist on an immutable database of shared, secure, and highly permissioned access. As one example, a shared ledger between automotive OEMs, parts distributors, dealerships, service mechanics, insurance providers, and others could support the ability for parts or equipment within a car to autonomously sense its own needs. For instance, a car could advise the driver about the need for repair, contact remote users for updates or nearby suppliers for replacement parts, negotiate pricing and appointments for service and repairs, authenticate the proper technician, and process the respective payment for services. An early example of blockchain supporting transparency across the above interactions was recently announced by Renault. The French automaker is piloting a digitized car maintenance program, which uses blockchain as a shared ledger to log all car repair and maintenance history in one place. The next pilot, it says, will focus on vehicle-based microtransactions – essential to integrating the IoT with the exchange of value. Oaken Innovation recently demonstrated the idea of a blockchain-enabled tollbooth, in which Tesla cars automatically pay as they pass through toll booths, as both nodes (car and tollbooth) have ethereum nodes, which use smart contracts to trigger a machine-to-machine (M2M) transaction. Whether an individual, institution, or dealer, few can afford to purchase cars outright; instead, purchasing cars typically requires loans to finance the transaction. 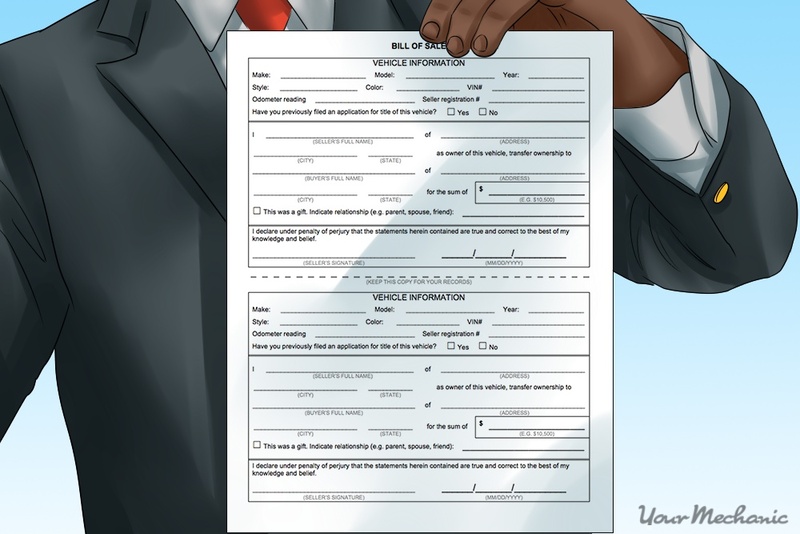 Although financing varies somewhat by the nature of the transaction, typical auto financing includes a host of verification steps to which blockchain could be applied for efficiency gains: customer bank validation along multiple phases of transaction setup and execution (in compliance with know your customer [KYC] and anti-money laundering [AML] regulations); issuing letters of credit; review of multiple documents sourced from different locations; investigating actors’ legal structures; scoring and classifying risk; archiving of reviewed documents; etc. In the spring of 2017, Indian automotive OEM Mahindra, created a blockchain incubator focused specifically on the automotive financing use case. The process of transferring ownership from buyer to seller of an asset – a car or other form of property – is one that requires numerous middlemen, phases, and reconciliations to execute. Property records and the “chain of title,” which include leases, titles of ownership, encumbrances, etc., are usually stored in title plants at the county level, which must be maintained and require significant labor resources (thus, higher fees) to search and curate in order to verify a transaction. Blockchain could be applied here to streamline this process, not only by digitizing and securing titles – many titles today are paper-based – but by expediting the time needed to authenticate, validate, and transfer ownership of specific assets. A company called BigChainDB is developing CarPass in an effort to centralize all information about a car to a shared immutable and transparent database, immune to fraud or tampering. The pass would include title, service providers, prior damage, maintenance, and inspection history, but telemetry and sensor data introduce all manner of possibility in what could be registered on such a ledger. The concept was born in a hackathon in which energy company Innogy, BigChainDB, and Volkswagen Financial Services (VWFS) conceptualize what could be included in a car’s digital record involving telematics data, device data, and financial services data logged onto a blockchain. The current claims process requires extensive manual documentation, submission, and review resources to verify a claim. Entering these events on a distributed ledger could streamline both claims processing as well as subsequent payouts and service contracts associated with financing and executing repairs. Automotive OEMs could potentially use blockchain technologies like smart contracts or private keys to streamline the filing of certain insurance claims, automatically deploy service technicians, or automate payout. Various blockchain technologies could also be applied along multiple phases. Security, identity, and permissioning impact anti-counterfeit measures in the supply chain; smart contracts, oracles, and custom code support security and compliance adherence; decentralization allows multiple parties to be involved in any supply chain to participate in shared (permissioned) record-keeping and reference data; and payments and contracts transfer to expedite reconciliation of the deal and the transfer of money and assets from one party to another. Toyota Research Institute (TRI) recently unveiled a three-pronged strategy (and a slew of partnershipsto reinforce it) in which they see blockchain technology as underpinning data sharing, ride-sharing transactions, and user-based insurance. While this inherently includes numerous use cases impacting supply chain automation and otherwise, Toyota sent a signal to the market loud and clear: it views blockchain as the enabler for vehicles to receive and carry out all manner of instructions and transactions autonomously, and across multiple constituencies. Rewards programs are a common tool for driving customer engagement, retention, and additional revenue across a variety of sectors, including financial services, retailers, airlines, hotels, grocery, gaming, restaurant, car rental providers, cruises, fuel/convenience stores, and others. But today’s programs leave much to be desired on both sides: for businesses, points go unused and one-time sign-ups do not drive loyalty; for consumers, loyalty programs are rarely integrated and the ability to accrue value is limited. As businesses are awakening to the opportunity to leverage data for highly contextual marketing, the autonomous car represents the next mobile platform, particularly as passengers do more sitting than driving. Companies like loyyal recognize the need for a shared database to manage high volumes of transactions and enable permissioned access and program execution so that loyalty engagements serve both consumers and the numerous organizations with which they interact. Believe it or not, these use cases are but the tip of the iceberg for potential blockchain applications within the automotive space. That said, scalability, security, and low standardization across the industry remain significant hurdles. The primary challenge facing commercial blockchain in automotive is the sheer number of parties that would need to adopt decentralized ledgers. This, in addition to dynamic and geographically variable regulatory regimes, is why we are seeing industry consortia emerge as critical catalysts in the blockchain space. Toyota recently announced that it is building its own consortium, and that it is also part of R3. Daimler AG joined the Hyperledger project. Meanwhile, the Blockchain IoT Consortium has come together with the sole purpose of coordinating the universe of IoT suppliers around new blockchain-powered use cases. More and more, Tractica expects automotive OEMs to take steps toward blockchain, with industry leaders accelerating their own efforts. The broader the network adoption, the greater the value and efficiency; the inverse of which is also true. General Motors has a car without a steering wheel on the way…. The New Year has just begun, but General Motors is already looking toward 2019, when it will take the next step for its self-driving cars. It plans to release the Cruise AV, a self-driving car without a steering wheel, pedals or any of the standard driver controls. 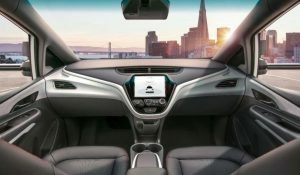 The news comes from a GM announcement about its safety petition to the US Department of Transportation for permission to put the Cruise AV on roads as early as next year. GM acquired Cruise Automation in 2016, and since then Cruise has worked on its technology. 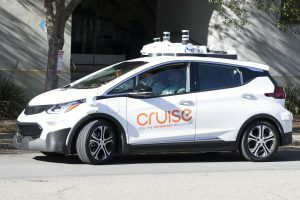 Driverless vehicles powered by Cruise are already on the roads in California, Arizona and Michigan for testing, and these car may soon be in New York City. The big difference between the existing Cruise vehicles and the upcoming Cruise AV is that this new version, the fourth generation, will be the first production-ready model purpose-built to drive itself. GM envisions the Cruise AV redu cing traffic accidents, giving back the time riders spend stuck in traffic, offering greater mobility for elderly or physically impaired passengers and making the hunt for parking a thing of the past. Assuming the DOT approves GM’s safety petition, we could all be driving alongside robots next year. 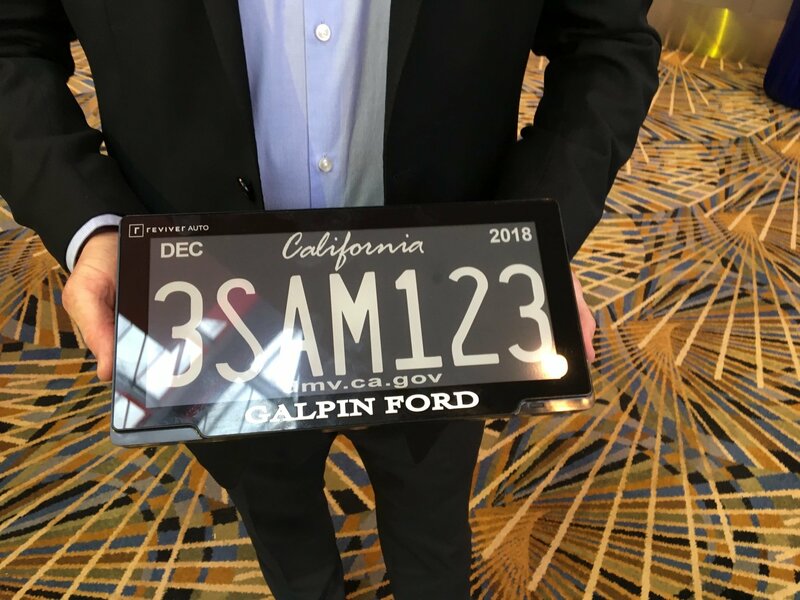 World’s first DIGITAL LICENSE plate, to hit California….. Among the functionalities RConnect makes possible for consumers are automated DMV renewals – replacing legacy stickers and onerous paperwork with digital decals; implementation of charity plates in support of a favorite causeand the display of DMV-approved personal messages like “Don’t Drink and Drive” or “My Child is an Honor Student.” Cost-cutting benefits for businesses include streamlined vehicle registration renewals and easily tracked registration compliance across vehicle fleets, as well as the ability to create customized marketing messages that appear on the plate when parked.